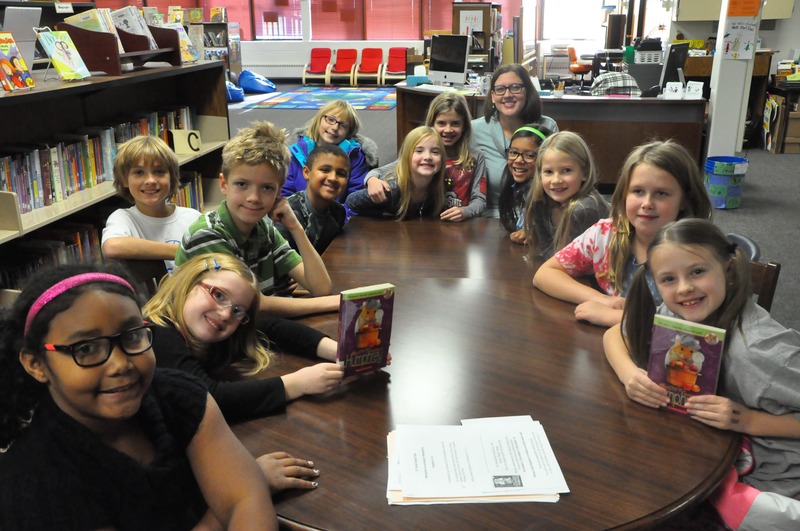 The first session of the third-grade book club at Carlisle Elementary School was a success, according to the students who participated in the three-week club. The group met three Wednesdays in a row during their recess periods from 11:15 a.m. to 11:45 a.m. to talk about the book Mysteries According to Humphrey by Betty G. Birney, which follows a classroom hamster named Humphrey as he investigates a missing teacher. The club was organized by Carlisle librarian Carrie Abahazi, who wanted to show students that reading outside the classroom could be fun. Abahazi said the books were purchased during the last book fair and loaned to students. The students themselves come from four different third-grade classes at Carlisle, which Abahazi said helps them to socialize and interact with students they aren’t classmates with. The students said they really enjoyed the book and the club. “I liked book club!” said Selena Reid, adding that she really enjoyed the mystery and how everyone had different ideas for how the story would end. At the end of the last book club meeting the students were given a survey and every one wrote on their survey that they would happily sign up for another book club. Abahazi said she was really encouraged by the student’s surveys, many of which said the book was “just right” for them. She said the next session of book club will begin next Wednesday with a new group of students.